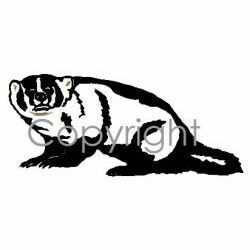 Great looking Badger decal loaded with detail. Available in large or small sizes. These Small Game Hunting vinyl decals and stickers are for display on trucks, cars, trailers, boats, gun cases & other smooth surfaces.